I have caught trout in Staffordshire, whilst staying at the Izaak Walton Hotel at Dovedale last year, and fishing the same hallowed water on the Dove, fished by Charles Cotton, four centuries ago which was featured in the ‘Compleat Angler’ on Discovery Real Time (Shed) and fronted by Geoffrey Palmer and Rae Borras…a lovely series. Two, to be precise, and on elk hair caddis, but with no thanks to the zillion families/splashers/chuckers/picnicers/ dogwalkers…and dogs! 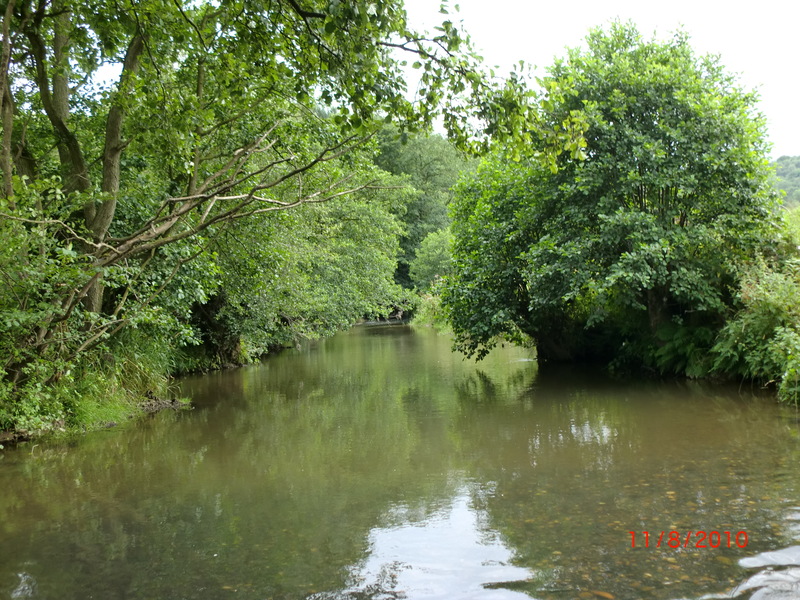 But this post is about another Staffordshire stream, not so well known, and where on this occasion, I was unsuccessful. Tonka Too made easy work of the bumpy track through the woods of the National Trust’s Hawksmoor Estate and we parked up by a tenant farmer’s barn. I was already tackled up (the same morning I was on the Inn at Whitewell’s water on the Hodder) and I watched, surprised, as Rob put up a nine foot, 8wt, and tied on ‘the lure of all lures’ with the thickest, orangest, maribou tail, I have ever seen…. ”there’s a pike down there, and I have to remove it” …..he explained! “Many years ago the Churnet was regarded as a sour river, an appalling river, because of the pollution which found its way into the Dove. The LDFFA have had further problems, but today, this feeder to the River Dove is in good health, and in no small way, down to the efforts of Rob and his fellow Committee members. 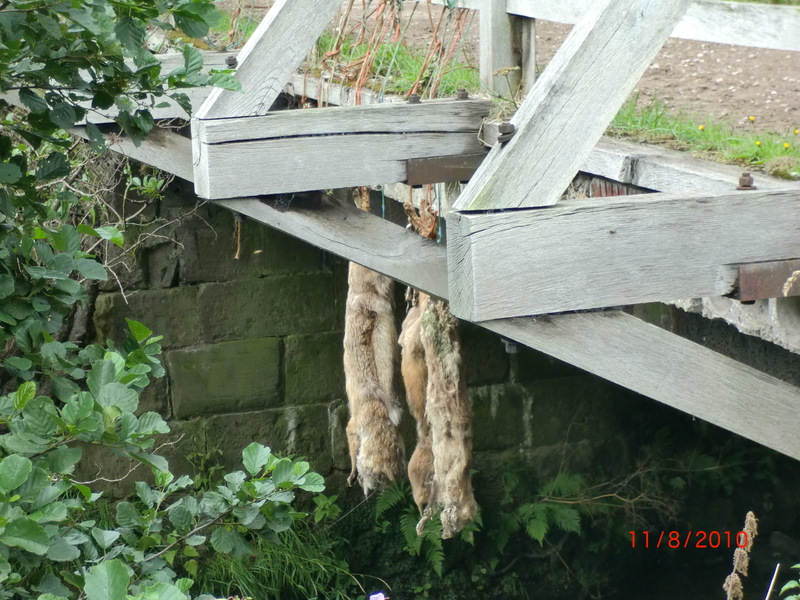 Walking down to the stream, Rob pointed out the Keeper’s Gibbet…I was ignorant! The stream was coloured, it runs over clay (the Potteries!!) but there was the odd rise. The club’s beat offers an incredible mix of challenges…fast open runs; slow paced glides under overhanging cross stream branches, and round some fallen trees; deeper, silt edged pools; high banks and no banks; pebbles and muddy wading…and the City of Stoke is only a few miles away, but you feel isolated. where I netted two grayling. 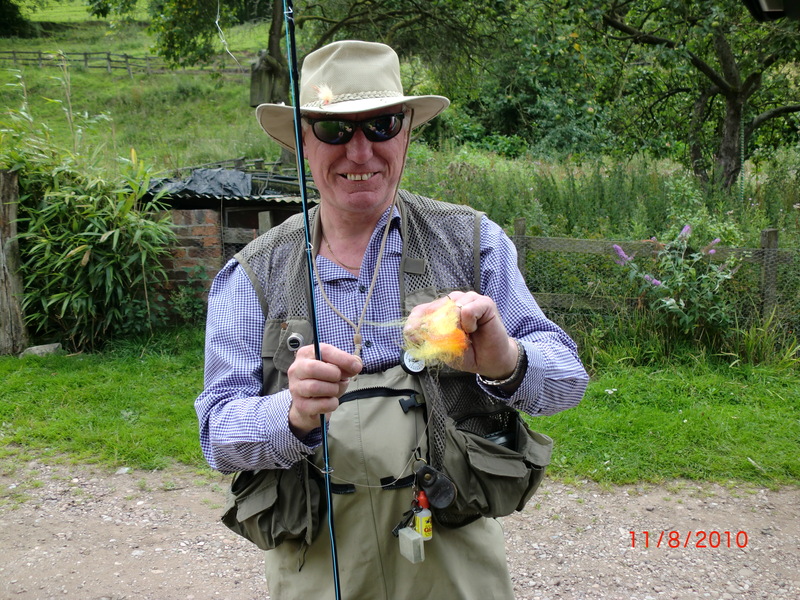 The second whilst struggling, attracted the attention of a trout which attacked it as it came to hand. But the fact that grayling are there seems testament to the efforts of the LDFFA to improve the water quality of their river…. Well done, and my big thanks to them, and to Rob.